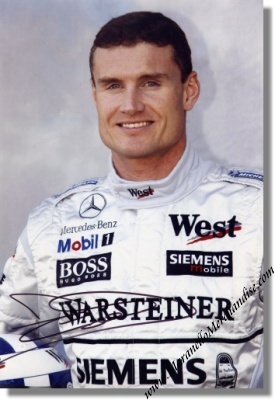 David Coulthard signed McLaren Portrait Photo. This is great and LARGE photo of David in his Mercedes McLaren outfit. David personally signed this photo with a black marker. It measures approximately 20 x 30 cm or 8 x 12 inches (A4 size!). FREE packing, handling and shipping!